Lance and I were married in August of 2009. We knew we wanted to expand our family eventually. We waited a year before trying to have kids, and our first pregnancy came after trying for a year and a half. (Seemed like a decade.) I was actually going to start taking fertility drugs the day I found out I was expecting. We were heartbroken to discover at our first doctor’s appointment that we had miscarried. It had taken so long for us to conceive and there we were, back at square one. We started trying again immediately. No luck after another year, so we started doing Artificial Insemination (IUI's). We decided that we would do 6 IUI's before pursuing IVF. On our 6th IUI we found out we were pregnant! Cautious excitement overcame us! I had a wonderful pregnancy and gave birth to a beautiful, healthy girl! Nine months later, I ended up in the ER with sharp pains in my side. I didn't know I was pregnant. It was an ectopic pregnancy that had somehow gone interstellar and landed on the outside of my ovary, causing internal bleeding that had filled up to my chest. I passed out in the waiting room of the emergency room and had emergency surgery. I was hours away from death. I remember lying in the waiting room making peace with God. Six months later we were pregnant again. We conceived naturally and were ecstatic! I had another healthy pregnancy, this time with a boy. I was a lot more tired having a two-year-old at home to chase around, but we were healthy! The labor started exactly as I had always dreamed. I got up in the middle of the night and my water broke. We rushed to the hospital and had a quick, painless (thanks epidural) birth. Just when my journey to mommy-hood roller coaster seemed to be finally be arriving at my ultimate dream destination, things took a drastic turn. My beautiful baby boy, Lane Gabriel, was born at 9:43 a.m. My smile at the sight of him quickly turned into a panicked grimace. He was blue in color and was making a strange sound with each breath. (We now know it was a stridor, which is a wheezing sound caused by disrupted airflow.) At the time, we thought it was just him adjusting to breathing in his new surroundings. They set him on my stomach and wiped him off in preparation for skin-to-skin. As they wiped him off, his whole little body went limp. One nurse with a fixed smile sweetly said, "I am just going to take him over here for a minute." I could see the worry in her eyes. She rushed him over to another nurse where they quickly worked to check his vitals. I was stuck in the bed across the room. I felt helpless and scared. My husband, Lance, had his hands on his head pacing around the room. My OB was trying to comfort me. Saying “these things happen” and "you'll know when to panic." It was right after she said those words that the nurses started chest compressions on Lane and the NICU panic button was pushed. Lane had coded minutes after birth. An alarm went off and a team of doctors and nurses charged into the delivery room. They wheeled my baby boy out of the room. I hadn't gotten to hold him. I hadn't even really gotten to see him up close. I was left in the room with one other nurse for an hour to recover. I was a shell of a person. It was an out of body experience. How could this be happening after all of the other struggles with fertility I’d had? 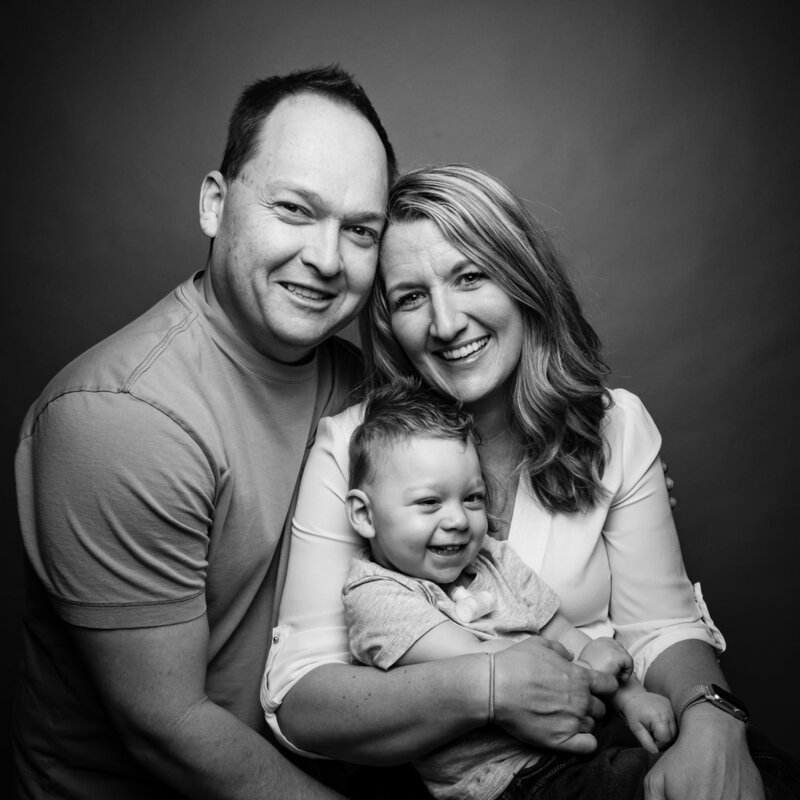 On Day 2 of Lane's life, he was diagnosed with Bilateral Vocal Cord Paresis (Paralysis). His vocal cords were not moving well, and they were in a closed position. This means he has a little chance to choke, but being closed makes it extremely difficult to breathe. He had a tracheostomy when he a month old. Somewhere along the NICU journey, the doctors did a series of tests to try to determine what caused the vocal cords to have poor mobility. Through an MRI, they discovered Lane has Corpus Callosum Hypoplasia and Colpocephaly. Two brain diagnoses that basically could mean nothing, or could mean cognitive and motor delays. So much has changed since Lane has been born. I have to have faith that there is a greater plan. Otherwise, I would just completely succumb to anger and depression. Since Lane arrived we have moved twice, my work world crumbled, some relationships have changed, our family resources have depleted, and we had to blindly navigate a new world of insurance and medical choices. We were sent home from the hospital with virtually no help, it wasn't just his intensive care that was stressful. It was the world that we once knew fell apart around us. I was in living in the Bell Jar. It has been a grieving process. We are slowly starting to pick up what pieces are salvageable to eventually put them back into place. I know this is going to sound terrible, but there were times when my husband and I really thought we couldn’t handle the life we were given. We wanted to give up, throw in the towel and run away. I didn’t start feeling much affection toward Lane until around his 1st birthday. Isn’t that awful? But I am now, after a year of heartache and grieving, in love with my baby. I find joy in his accomplishments instead of sorrow of where he should be at his age. I do still have many moments of sadness and grief when I think about his probable future and compare it to the picture I had painted for him before he was born, but I do not linger in those moments as long as I had before. Each person in our immediate family experienced an instant life change when Lane came into this world. We do not take him to public places very often due to his susceptibility to illness. He gets sick easily and when he gets sick time goes on hold. People don't understand. They think we are being too guarded or overprotective. It is truly impossible to completely understand someone's battle unless you have put on the armor and fought beside them. My husband and I both have our Master's degrees and we both had great jobs. We had a reasonably sized savings account. We had our dream house. All of that went away when Lane was born. In order to get all of Lane's needs met we had to give up our savings, cannot have a trust, and moved to a house we could afford on one income. It has given us serious perspective as to what is important. It has changed relationships, some for better, some for worse. It has developed a new sense of empathy for others that I never had before. I was seeking help from community resources and was told that because my husband and I both had jobs and made a decent amount of money we were out of luck. I was told that if we divorced or said we were separated we could get help. If one of us stopped working, we could get assistance. How does that make sense? I was told that, "It is the duty of a parent who has a special needs child to stay home." I was also told, "Nursing care is not meant to be FREE BABYSITTING...everyone who has a baby has to pay for child care." (That still gets my blood boiling.) All of those things were said to me by people who work in professions that are there to HELP others. How sad is that?! I didn't let those words deter me. I didn't give up on what I wanted. I have been fighting for Lane ever since the day he was born. I am hoping to make changes for families. Not sure how I will do that yet, but it is definitely part of my plan. There are still a lot of unknowns for Lane and our family. Lane is now 15 months. We just got Lane's second round of genetic testing back recently and he now has another diagnosis. He has what's called FOXG1 syndrome (a gene that’s primary function is brain development and there are only approximately 360 cases documented worldwide), and it comes with a daunting list of symptoms, as well as being considered an Autism Spectrum Disorder. If I am choosing to look at the bright side that he is making progress…snail speed. He can bat at objects and has solid head control. He just recently started rolling over! He still is working to sit up and eat on his own. He is fed primarily through a feeding port. He is so happy when he’s feeling well, but life is AWFUL when he isn’t. He receives 4 different therapies a week and we are constantly working to improve his myriad of developmental delays. We are scheduled to take week-long trips to Cincinnati Children’s Hospital every six months to talk to their team of Aero-Digestive doctors and neurology. Hopefully Lane will defy all odds set against him. We are his biggest cheerleaders and will continue to keep advocating for what we feel is best for him. The gaps from where Lane is developmentally, to where he should be, continue to widen. Lance and I strive to stay positive on a daily basis. We struggle to stay positive while also remaining grounded. Staying optimistic while facing the reality in which we live. We recognize that we are blessed in many ways, but we also allow ourselves to occasionally wallow in the sadness we carry when facing what life has presented us. Some days we find ourselves scraping the bottom of our spiritual barrels to find some semblance of hope. Other days we convince ourselves that Lane will one day just blow us away with a great surge of improvement. We are his biggest cheerleaders and will continue to keep advocating for what we feel is best for him.